Three new press photos have surfaced with the Big Brother 12 houseguests posed in the backyard of the Big Brother house — of course in their bikinis and swim trunks. We first caught glimpse of the Big Brother 12 houseguests several days ago when we officially learned that they moved in on Saturday. WeLoveBigBrother.com has another photo to share, this time of the houseguests together lounging around in the backyard. (See photos below.) 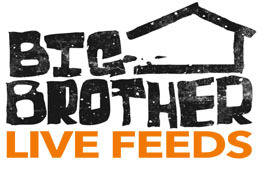 Big Brother’s 12th season premieres Thursday night on CBS at 8pm Eastern.